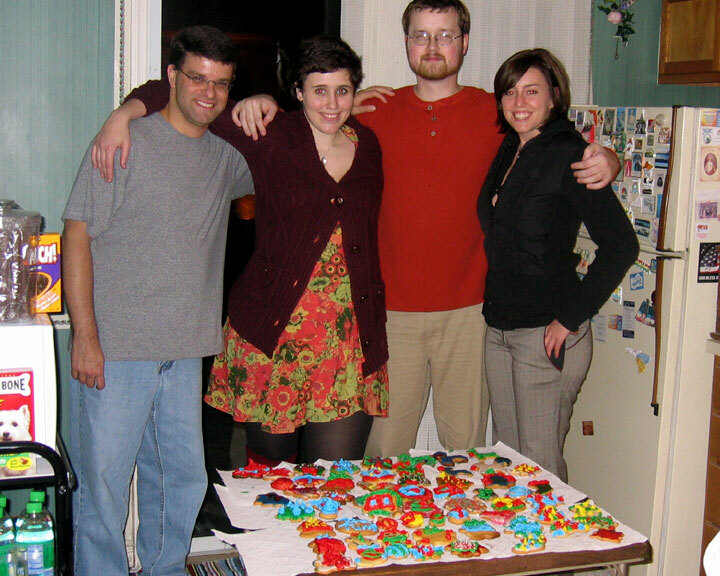 What Happens when 20-something brothers & sisters get together for a night of cookie-decorating bliss? The results are not so pretty. A sample of our Rudolphs. 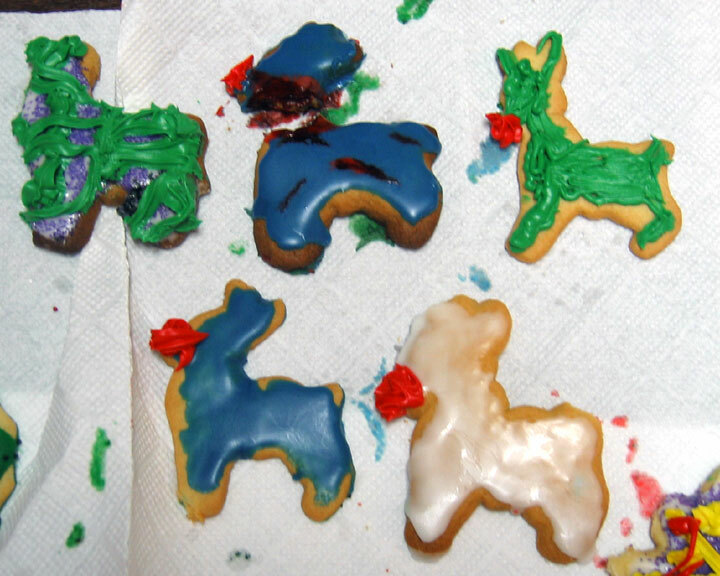 Note the decapitated rudolph done by my lovely boyfriend. Some more of my boyfriends creations. 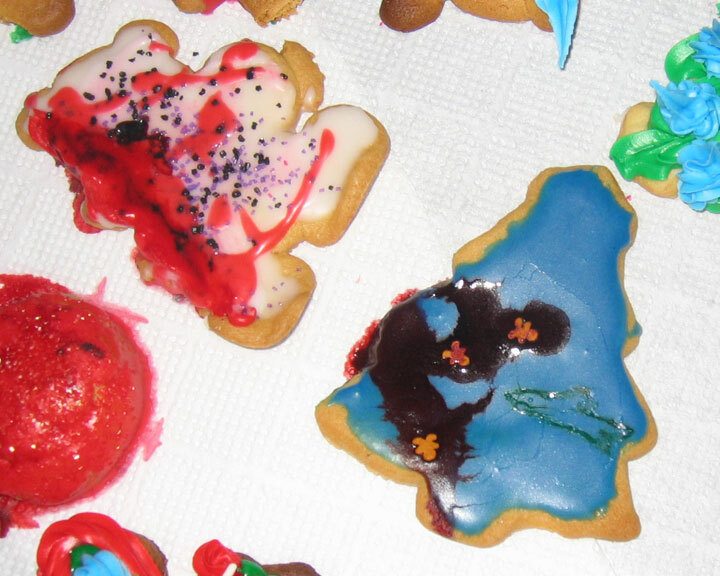 The one vaguely resembling a Christmas Tree is a "Shark Attack;" evidently the gingerbread men sprinkles were mauled by the green shark in the blue water. The other one is Teddy Bear who lost his whole side to a mauling by a larger bear. That's what happens if you give Rob a cookie even vaguely misshapen. 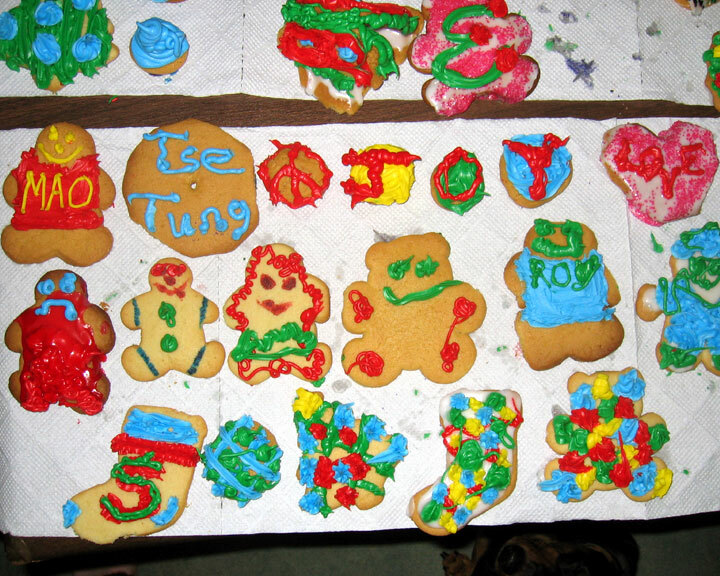 This picture shows a variety of cookie stylings, from our homage to Mao Tse Tung, to Peace-Joy-Love, to many Goofy Gingerbread-Men-Shaped Creatures. Again, the gingerbread man with a sad face & visible intestines was done by my boyfriend. And no, he's not that sick & twisted. We had a blast that Sunday Night.